So you have a Lab and want to buy him a new bed. Your Lab's zzzz-needs goes way beyond the looks, price or your comfort-opinion (you're not a dog :). With all the choices out there (literally thousands) you may need some guidance. On NolongerWild, we've consulted with many experts to get their advice on what a Lab needs in a quality bed, the different types of dog beds and common mistakes made when purchasing a pet bed. Plus, we've taken in all the above considerations to select our top 5 picks for the best dog beds for Labs. 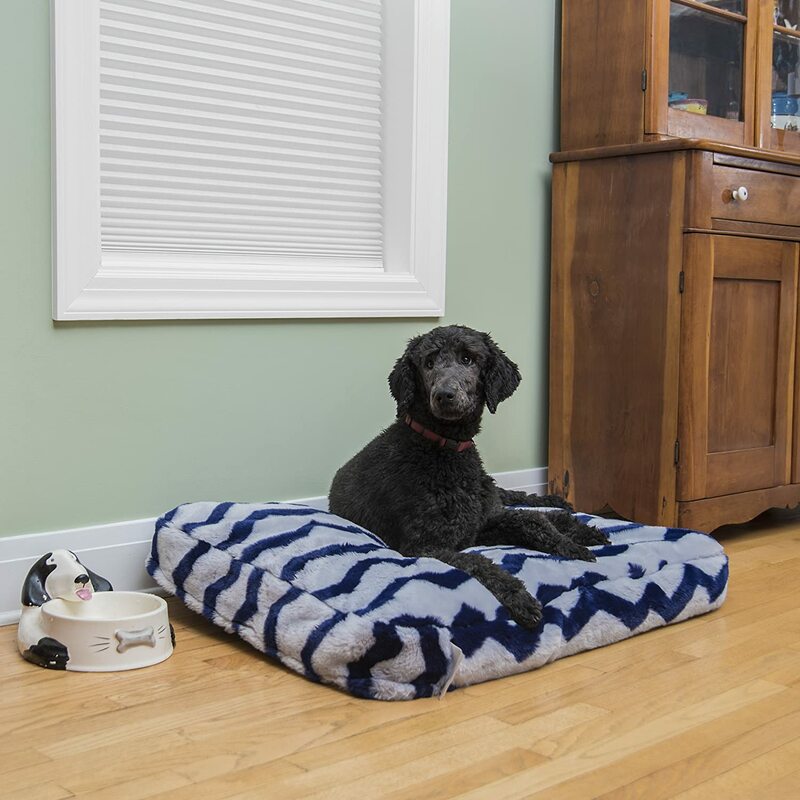 This supportive mattress-style dog bed is perfect for those senior dogs, or Labs that expend a lot of energy and need some extra support during rest and sleep times. The OxGord uses memory foam to mold to your Lab's own body type, so there's no excessive pressure points on his body that may cause discomfort or even pain. 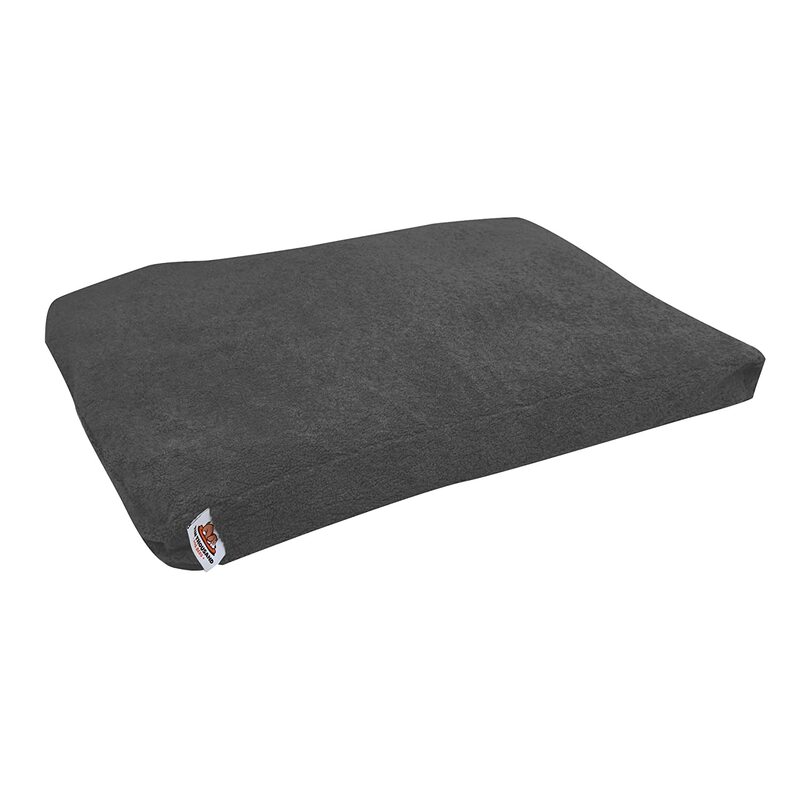 The top surface provides a soft plush fur for comfy colder weather lounging and the bottom has rows of rubber nubs to help keep it in place. 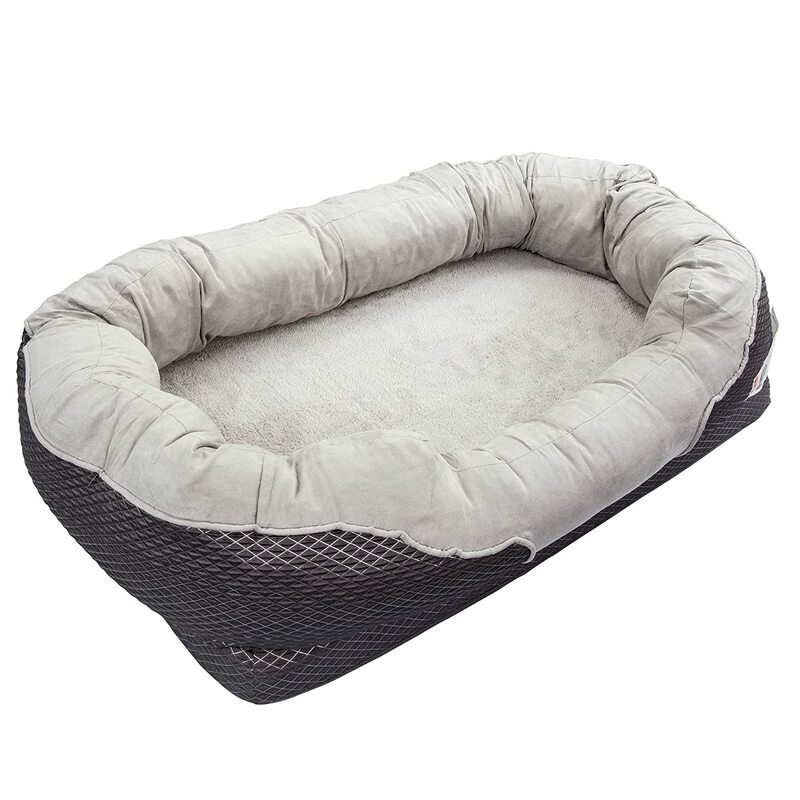 This dog bed is stuffed with special shredded orthopedic memory foam that provides better air circulation between your dog's body and the bed. But don't worry, even though the stuffing is shredded, it still provides the comfort you'd expect from a solid memory foam product. 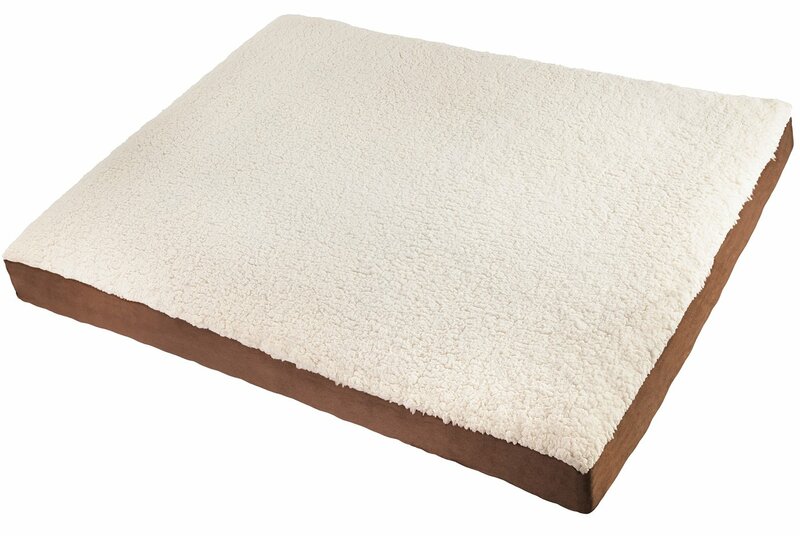 The top of this bed is covered with a soft fleece that is durable and also machine washable (it unzips). 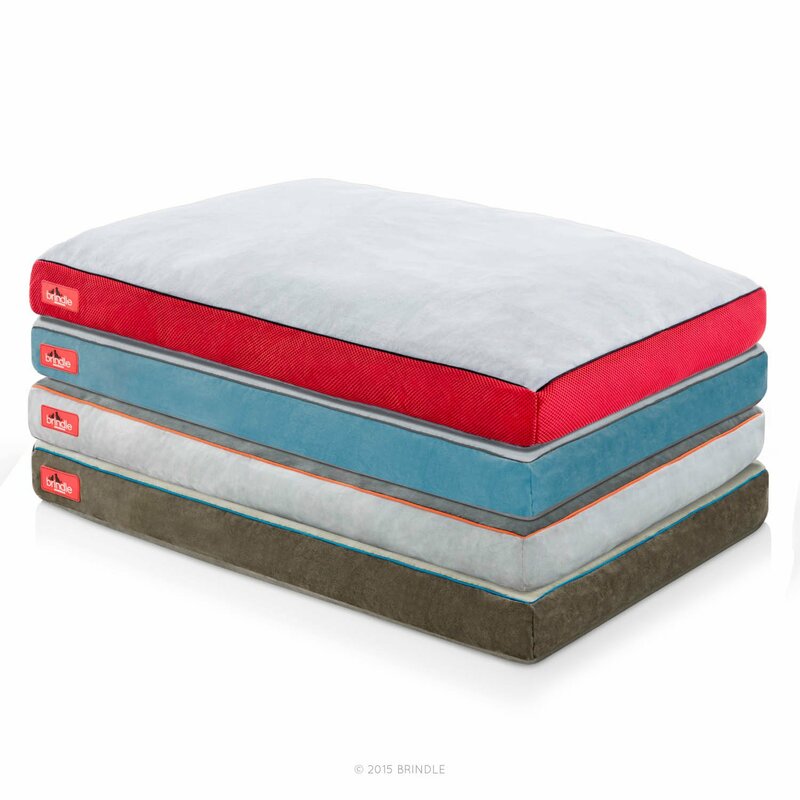 In addition, the Ten Thousand Dog Beds' product comes in eight different colors to match any decor. 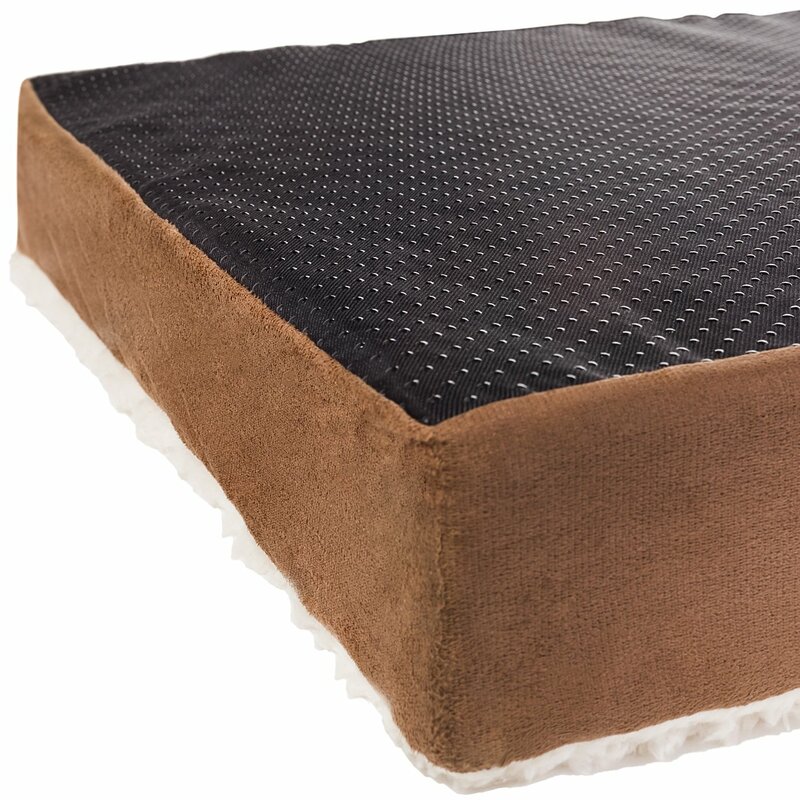 Pet parents are raving about the Brindle Soft Memory Foam dog bed. This unit is filled with shredded memory foam for more breathability and extra comfort with no pressure points. The soft microsuede top can be removed and machine washed to keep it fresh and clean, plus this fabric probably won't be mistaken for a chew toy. 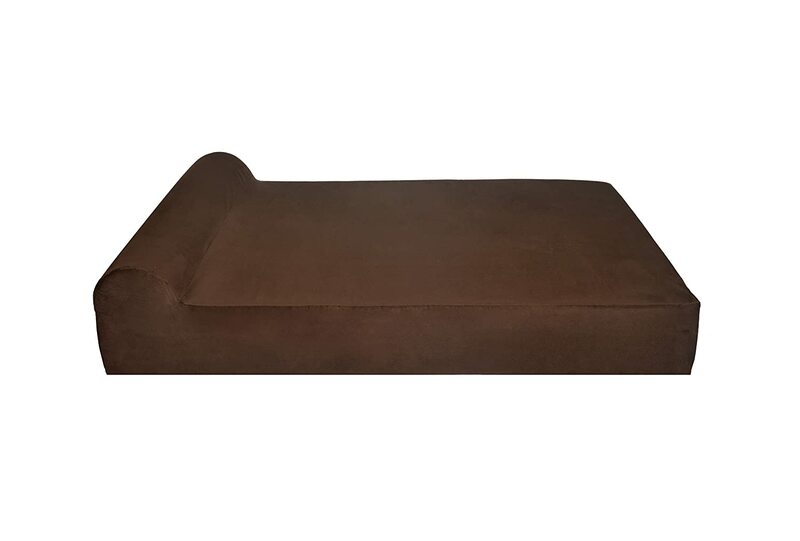 In addition, this dog bed comes in 7 different sizes for that perfect fit and 4 different colors to enhance any decor. This lounging-style dog bed looks comfy enough for humans to curl up in. The BarksBar bed can hold up to 100 pounds of canine weight and is designed to, not only support your dog with its orthopedic base, but the high sides on the bed are perfect as a pillow. The sleek and stylish design won't be obtrusive in your home and the non-slip bottom is sure to keep it in place. In addition, the removable cover can easily be tossed into the washer to keep it looking and smelling fresh. The Semien bed has taken our number one spot for the best dog bed fo Labs due to its superior design and durability. This best dog bed for Labs uses only the highest quality foam to ensure no toxins have snuck in and it will not lose its shape over time. 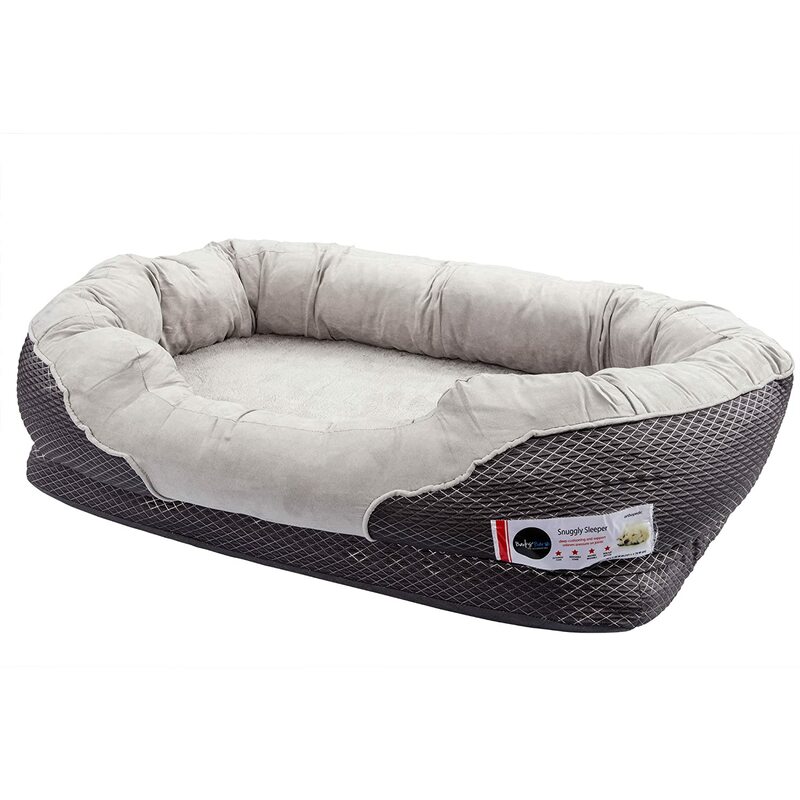 This dog bed also provides a soft, yet supportive sleep for seniors or any canine that just wants to be comfortable. In addition, It is covered in 100% microfiber that is completely machine washable and comes in two neutral colors to match any decor. Plus, if you purchase it through Amazon, they will kick in a free waterproof lining and a free Semien puppy food supplement. Why Do I Need the Best Dog Bed for My Lab? When you're choosing the best dog bed for Labs, you will want to take into consideration the common traits these dogs possess. Labrador Retrievers typically weigh from 55 to 70 pounds for females and 65 to 80 pounds for males. Labs are also on the taller-side with females measuring up to 23.6 inches at the shoulder and males ranging up to 24 inches at the shoulder. Personality wise, you can expect your Lab to be happy, full of energy and a BIG chewer. 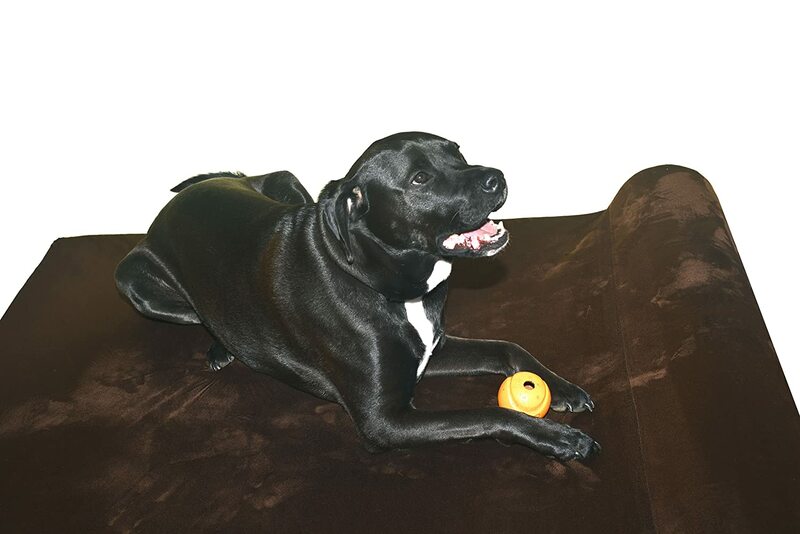 In fact, this breed is known for easily demolishing toys, shoes and, yes, even dog beds. For all these reasons you will want to choose the best dog bed, this includes being big enough to accommodate his/her fully grown size. You don't want your Lab's bed so small that he's not able to fully stretch out when he wants to. Additionally, you will also want a bed that isn't easily destroyed by an aggressive chewer (something like a labrador puppy :)). Another consideration to keep in mind is the age of your Lab. Senior dogs may suffer from stiff, joint pain and even arthritis so the best dog bed would keep your Lab well off the cold floor and provide extra support for those tired joints. Pet parents shop for their canine fur babies with the best intentions, but because we are often misinformed or just lack the knowledge of the best dog bed for Labs, we may end up making a mistake. Here is a list of five of those common mistakes people make when purchasing a dog bed. 1. Buying beds that are similar or the same fabric as the stuffed toys. If your Lab plays with stuffed toys that are made out of fleece avoid this fabric on your dog's bed. Your curious-chewer will not know the difference and will most likely associate the soft dog bed with another toy. 2. Purchasing a bed that is for the dog's weight only. Manufacturers will put the weight limits on their dog beds, but some dogs may be too long for the bed, even if their weight matches the recommended suggestions. 3. Buying a dog bed with different texture/material than the sofa. Most dogs love to sleep on our furniture, so don't make the mistake and buy your dog a bed that is totally the opposite of what she loves to lounge on. If your dog is hogging the sofa, find a fabric that is similar to your existing furniture to transition her off and onto her own bed. 4. "All-seasons" dog bed. If you live in an area where there are definite season/climate changes, than having an "all-seasons" bed isn't going to work. Dogs will sweat in the summer months and be colder in the winter months, so buying a dog bed for each season will keep your dog comfortable regardless of the climate. 5. Using the manufacturer's sizing. 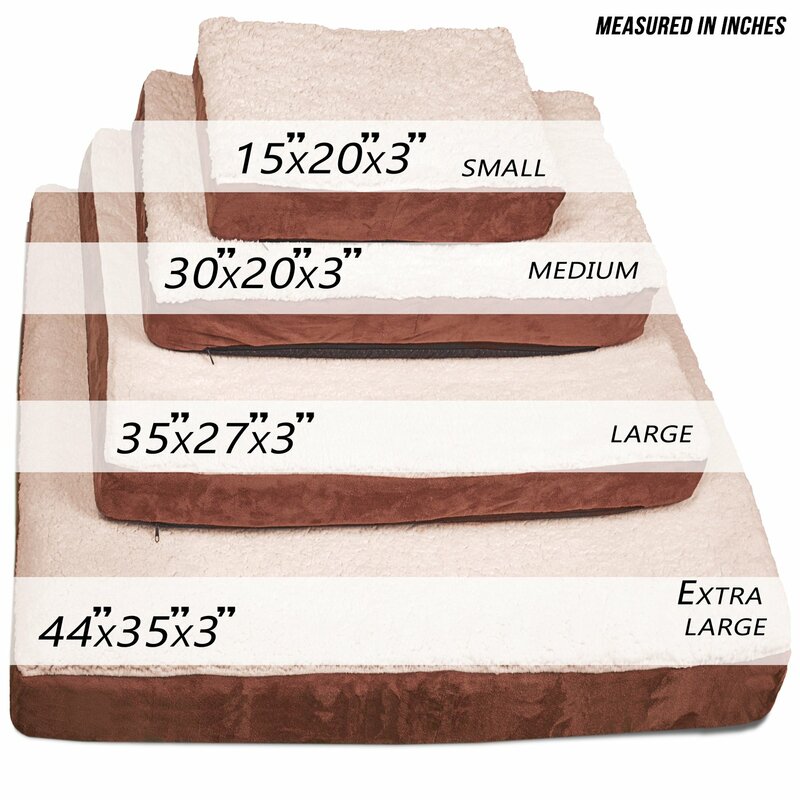 Most dog beds come in the standard small to x-large measurements. But that doesn't mean your dog will fit it comfortable. Use the bed's actually measurements to get what your dog needs to be comfortable. Supportive Beds. These are a mattress-style bed that offers extra support and provides room between the lying surface of the bed and the floor. Your Lab should have plenty of room to stretch out, curl up, sleep on his back or find any position comfy for him on the supportive bed. Lounging Beds. 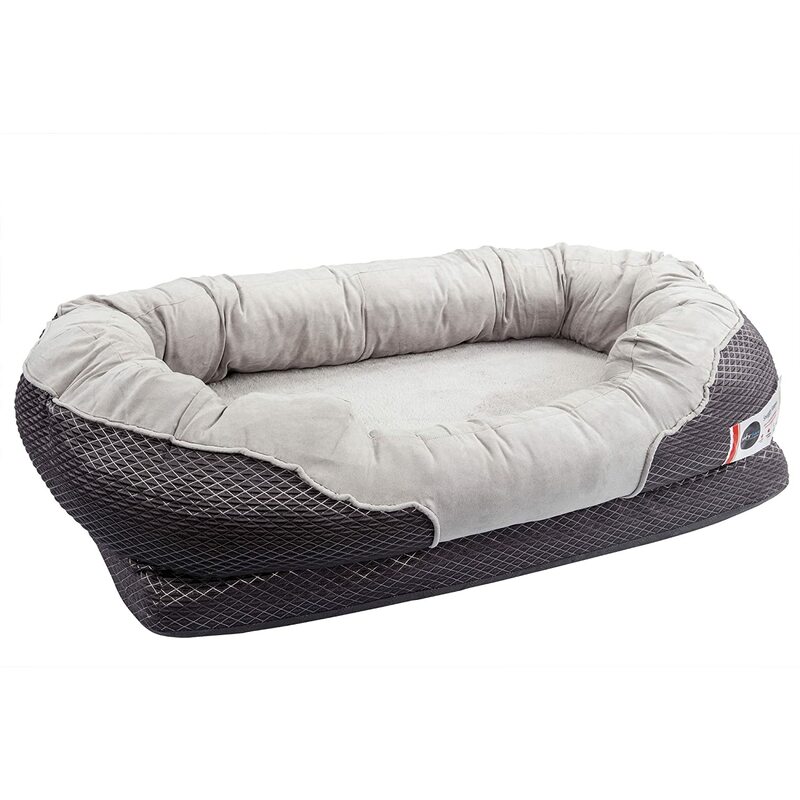 This type of bed comes in round, square or rectangular and provides a soft, cushiony place for your dog to sleep. These do not provide as much support as the above beds, but are comfortable for those Labs that don't need the extra firmness. Nestling Beds. This type of bed is similar to the beanbag chairs humans use. Your Lab will be enveloped in the nestling bed on all sides and it will mold to her body type and weight. Before you buy just any ole dog bed for your Lab, keep our helpful tips in mind when you're choosing the quality, comfort, style and durability your pooch is craving. Our top five products are some of the best dog beds for Labs, but that doesn't mean they are indestructible. Labs are huge chewers, so be aware of that when making your final purchase.